These Books Have Gone to the Dogs A book about a dog has been at or near the top of nonfiction best-seller lists for about a year now. Librarian Nancy Pearl suggests some other notable books featuring, but not necessarily written by, canines. Since the release of the best-selling Book Lust in 2003 and the Librarian Action Figure modeled in her likeness, Seattle's Nancy Pearl has become famous among readers and NPR listeners alike. She is a regular commentator about books on Morning Edition and NPR affiliate stations KUOW in Seattle and KWGS in Tulsa. A book about a dog has been at or near the top of nonfiction best-seller lists for about a year now. Given the rabid success of that title, Marley and Me, we've asked librarian Nancy Pearl to suggest some other notable books featuring, but not necessarily written by, canines. When I look at the books on the bestseller lists, I am reminded that when Bennett Cerf, one of the founders of Random House, was asked how to guarantee a best-selling book, he said to write about Lincoln's doctor's dog. Although, I believe, there was a book published in the late 1930s with that exact title (that did not prove his point), his theory still seems to work today. Just look at this week's best-sellers. 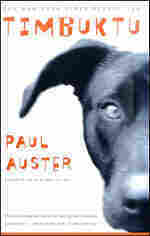 But there are some other pretty terrific books about dogs that I've been rereading lately. There are several novels written from the point of view of a dog. 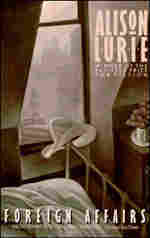 One of my favorites is Paul Auster's Timbuktu. Mr. Bones narrates the story of his life with Willy G. Christmas, which began when Mr. Bones was a pup and Willy was Willy Gurevitch, the brilliant son of Polish refugees. Now, Willy and Mr. Bones are on a search for Willy's old high school English teacher, perhaps the only person who recognized Willy's poetic gift. But it's likely that Willy is going to die soon, and although Mr. Bones is pretty sure he knows what happens when people die — Willy has told him often enough that they go to Timbuktu — he's not quite sure that dogs can go there too. And if not, where would he be without Willy? 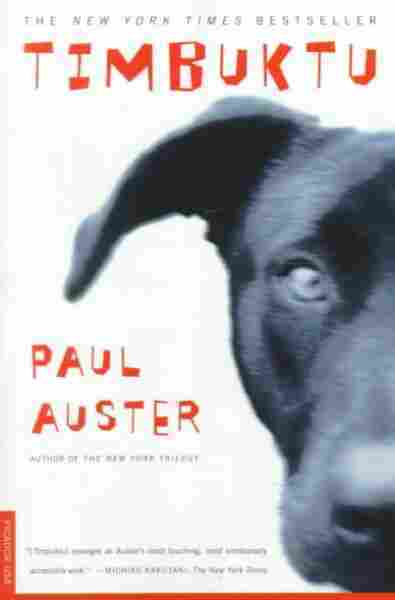 This novel, both like and unlike anything else that Auster has written, introduces two unforgettable characters. seconds at a time. Catch? I don't think so. of any thrillingly dead thing. And you? entirely, now: bow-wow, bow-wow, bow-wow. 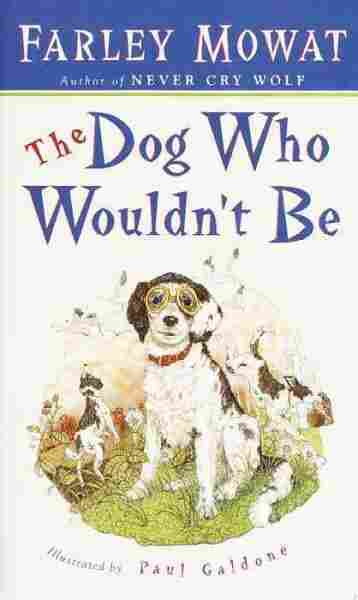 Every year with the change of season from autumn to the grey, soggy winter we usually get in Seattle, I reread The Dog Who Wouldn't Be. The author, Farley Mowat, spent much of his childhood during the Dust Bowl years in Saskatoon, on the plains of Saskatchewan, where his father worked as a librarian. When Farley's mother buys a strange-looking puppy — of no determinate breed — nobody in the family expects the sort of character they've now got living with them. Mutt is a dog who knows his own mind — he climbs ladders, rides in the back seat of the Mowat's Model A while outfitted with goggles to protect his eyes from the never-ending dust (there's a great vignette when Farley and his father go into a drug store to purchase the goggles for Mutt), feigns deafness when he wants to get out of doing something that in his mind, at least, is distasteful (like being bathed), and finally learns the ins and outs of the "retrieving" game (there's a wonderful scene where Mutt retrieves a stuffed grouse). With a chuckle available on nearly every page, this is the perfect book to read aloud to the whole family. 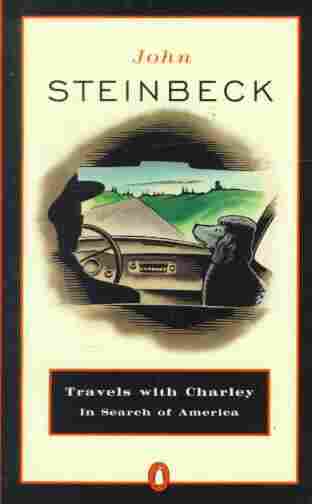 Whenever readers talk about books and dogs, one that always comes up is John Steinbeck's Travels with Charley: In Search of America. 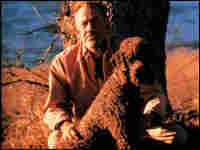 It's a book that serves multiple purposes: not only does it give a penetrating, if often depressing, view of the way we were in 1960, but it introduces into the American canon a delightful standard poodle who served as ice-breaker, alter ego, and general companion to Steinbeck on his journey. 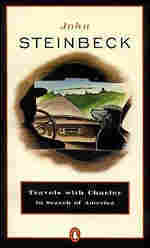 Outfitted in a well-packed pickup truck (the amount of liquor Steinbeck bought before he set out on his three-month camping trip was staggering to me), Steinbeck and Charley set off to explore the American zeitgeist, from the Northeast to the California redwoods, from Maine to New Orleans. It's often not a pretty picture, but having Charley along for the ride more than makes up for it. 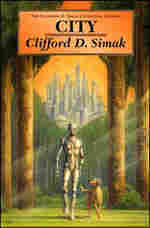 City by Clifford Simak is a collection of eight inter-connected stories about Earth going to the dogs (literally). They were published serially in Astounding Science Fiction during the 1940s and collected in book form in the early 1950s; they've always been among my favorites. Set at a time long after mankind departed Earth for the stars, a group of dogs sits around the campfire at night, debating whether the old stories are true, and if there was once such a thing as "man" and what role he may have played in placing dogs in the position they now hold. It's also the story of the Webster family and Jenkins, their robotic retainer, who coordinated this evolution of dogs into what they've become. My favorite story, which continues to haunt me, is when mankind realizes that in order to live elsewhere in the solar system, their bodies are going to have to take on a form that can survive in the environment they'll find there. 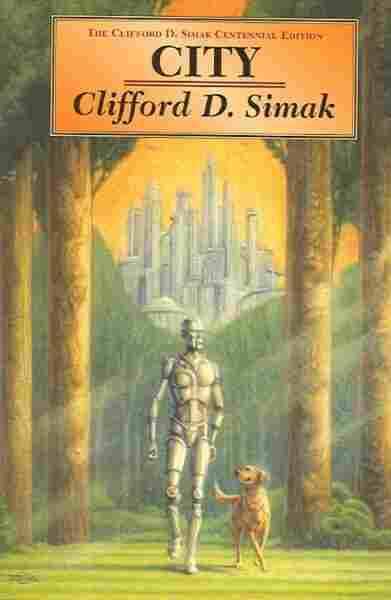 A man and a dog are sent to Jupiter, transformed into Lopers, the highest life form on the planet. What they find there presents them with the hardest dilemma of all — should they return to Earth? 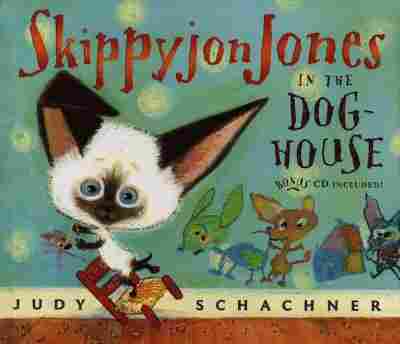 Older pre-schoolers and children in the first and second grades will probably enjoy Skippyjon Jones in the Dog House by Judy Schachner as much as I did. It's the rollicking story of the eponymous hero, a Siamese cat who thinks that he's a Chihuahua named El Skippito, sword-fighter extraordinaire, who's surely destined to rescue a group of Mexican Chihuahuas from an enormous bumblebeeto who's menacing them. 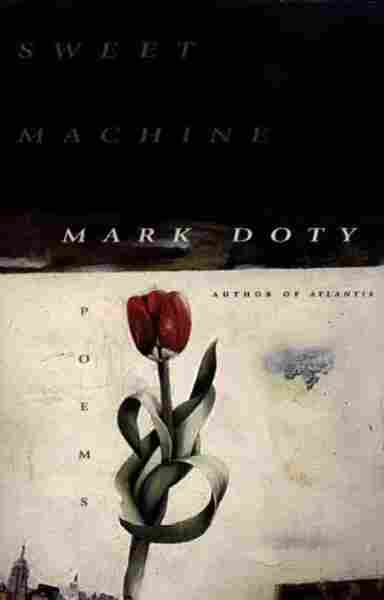 Holy frijoles, as El Skippito would say, this is one fun book. Occasionally, I run across a novel in which the dog — a minor character, at best — seems to almost steal the show. 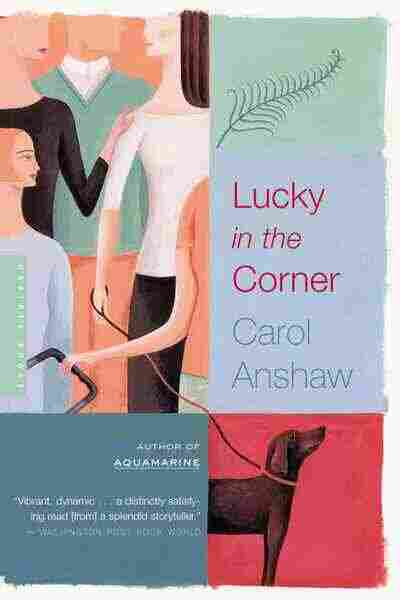 That's the case in Lucky in the Corner by Carol Anshaw, one of the most good-hearted novels I've ever read. It's a funny, wry and wistful story of friendship, love, passion and family relationships. The main characters are Nora, her 21-year-old daughter Fern (who has never really forgiven Nora for destroying their family when she came out as a lesbian when Fern was 11), Nora's cross-dressing brother Harold (and his alter-ego Dolores), and Fern's best friend, Tracy, who leaves her baby son, Vaughn, in Fern's hands. 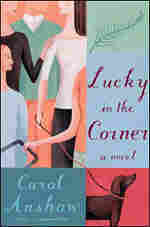 The characters are presented with honesty, understanding, and forgiveness, so that anyone, gay or straight, cross-dressing or not, twenty-something or fifty-something, can empathize with them and wish them well as they make their way through an often difficult, turbulent, and sometimes unfair, life. But what I most loved was Fern's dog, Lucky, and how his approaching death from old age (which Fern dreads more than almost anything else) is somehow a metaphor for all that we have to go through to finally grow up. There's a wonderful invisible dog named Fido in Alison Lurie's Foreign Affairs. Here's how the book begins: "On a cold blowy February day a woman is boarding the ten a.m. flight to London, followed by an invisible dog." 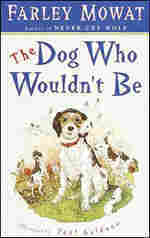 Fido, as the protagonist Vinnie Miner has named him, always appears when she's feeling sorry for herself. In London, Vinnie will encounter love, a mysterious housekeeper, and ultimately learn that perhaps Fido just might be her truest companion. 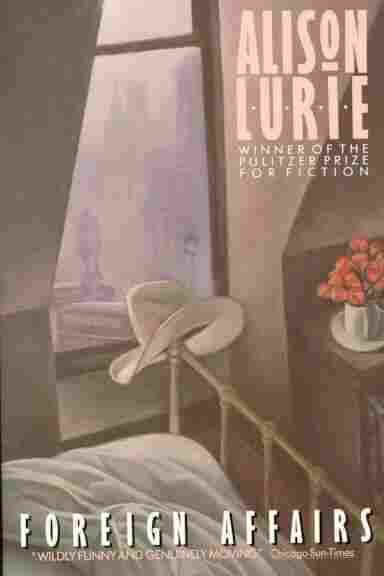 Lurie's novel won the 1985 Pulitzer Prize and is still a wonderful reading choice for anyone looking for marvelous writing, an original take on what could be considered a hackneyed plot, and characters that will stay with you long after you finish the book. Especially Fido.